Why Be Curious? Why Be Curious? Living and growing vines on 4 hectares in Radda, on some of the highest vineyards in Chianti (1640 ft.), Roberto Bianchi has managed to bring together Radda’s elegant and delicate profumo, with a preference for ‘wines that don’t make you tired.’ What a concept! Fire up that grill…crush the virgin garlic for the bruschetta and taste a Chianti that doesn’t want to word ‘super’ anywhere near it. Vigna / Vineyard: Particularly rocky soil of chalk and marl. The soil, and, especially the altitude, make Radda in general known for tight-knit acidity. The Eastern exposed vineyards have the extra sun-shade protection from the mountain, Monte alla Croce, allowing the grapes to ripen evenly and a little each day. No cooked fruit here. Nome / Name: Various parcels around Radda. Quota / Altitude: 450 m / 1476 ft.
Suoli / Type of soils: Limestone and Marl. Esposizione / Exposure: East / North East. 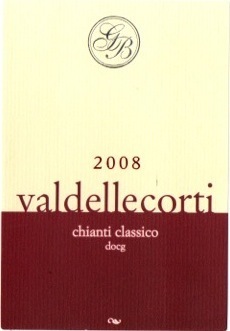 Vitigni / Varieties: Sangiovese 95% and Canaiolo 5%. Età delle viti / Vine age: between 10 and 20 years old. Densità / Planting Density: 5000 vines/hectare. Resa / Yield: 5000 kilograms / hectare. Fermentazione alcolica / Alcoholic fermentation: 21 days at up to 30°C, and 3 months at 15°C. Affinamento / Élevage: Large ‘Botti’. Zolfo / Sulphur: 70 mg/L total, 30 mg/L free. Produzione annua / Annual production: 1250 cases. Tappo e bottiglia / Closure and bottle: Natural cork, 750 ml Bordeaux bottle.